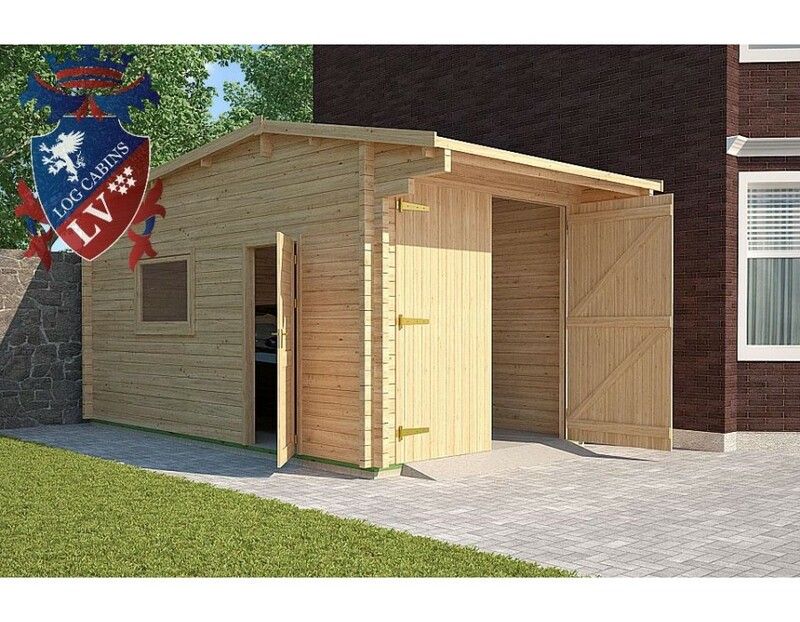 Amazing Grill Cabin 4.5 m2 is designed for a family or a small circle of friends to have good time, and it can be used in all weather conditions. As well as the house is a convenient option if you have little space in the garden. 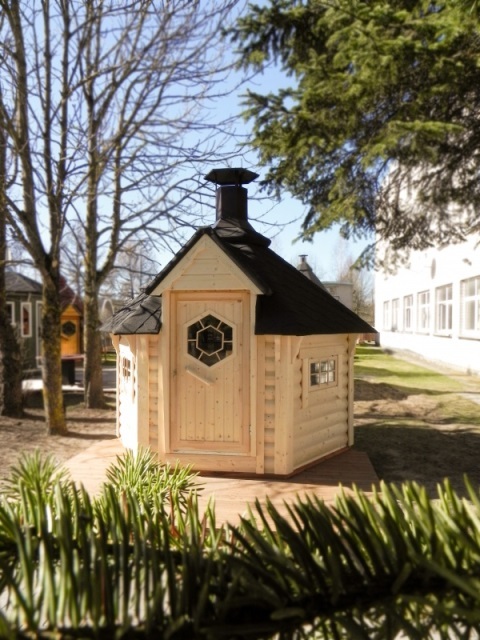 Grill Cabin made of quality materials is not only functional, but also decorates the environment. Good selection of a cabin color can make a garden or a yard look exceptional. High-quality materials ensure the longevity of the grill house and easy use. Cabin walls are made of rounded spruce boards. A roof is made of six elements, thus the system can withstand a considerable weight. Cabin roof is covered with bitumen shingles (different colors can be selected), and there are three opening double glazed windows. Besides that, doors are decorated with original hexagonal window. You can also find 3 spruce benches inside the cabin by the walls. Floor is easily assembled from separate components. 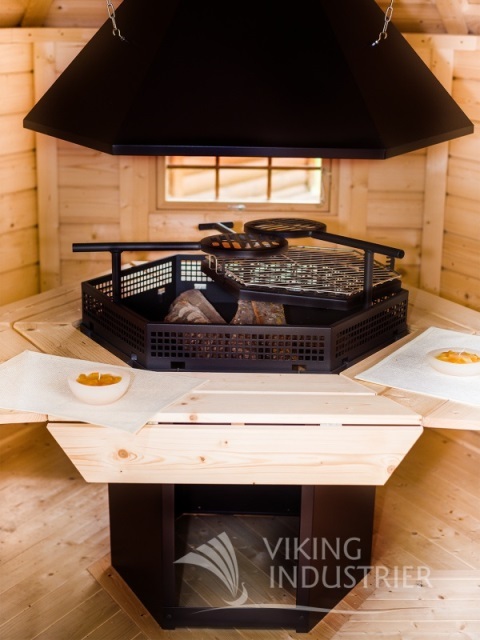 There is a convenient wood- or charcoal-fired grill with a table around it inside the cabin. Above the grill there is adjustable chimney. 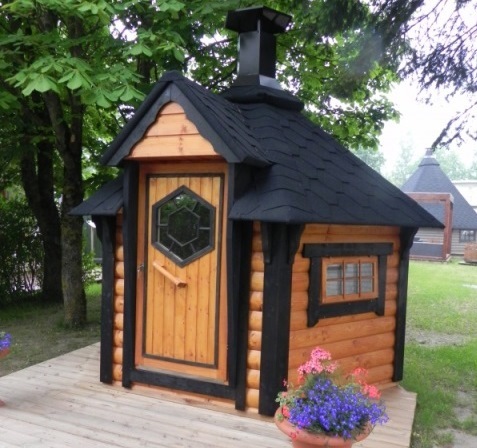 Finally, the cabin is lockable and there is a small porch with a roof at the entrance.